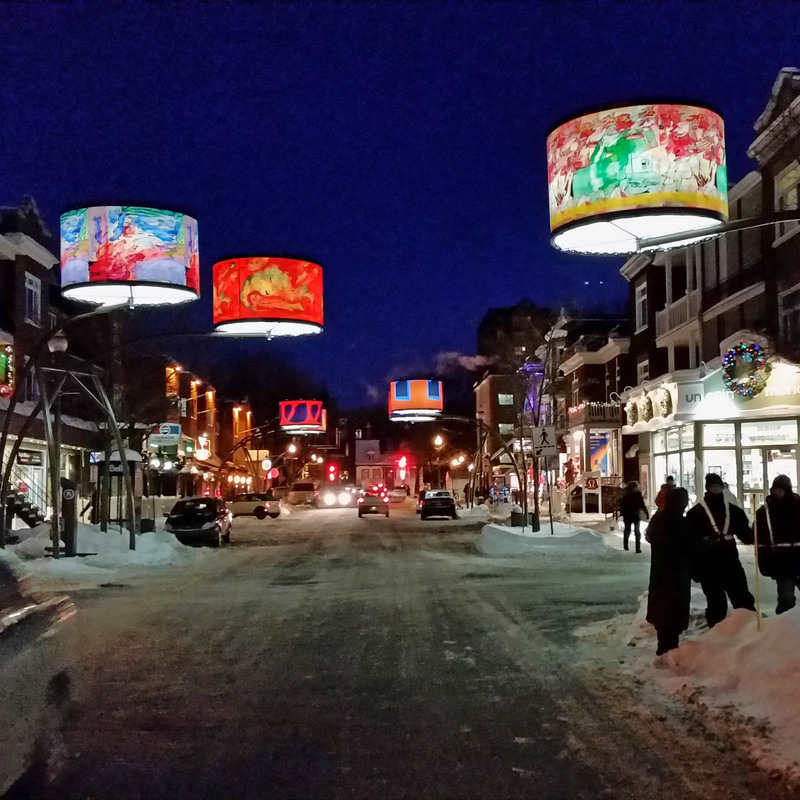 The “Lumière sur l’art” project on Cartier Avenue in Quebec City had Scène Éthique demonstrate all its creativity and the breadth of its versatility with the design and fabrication of unique urban furniture. 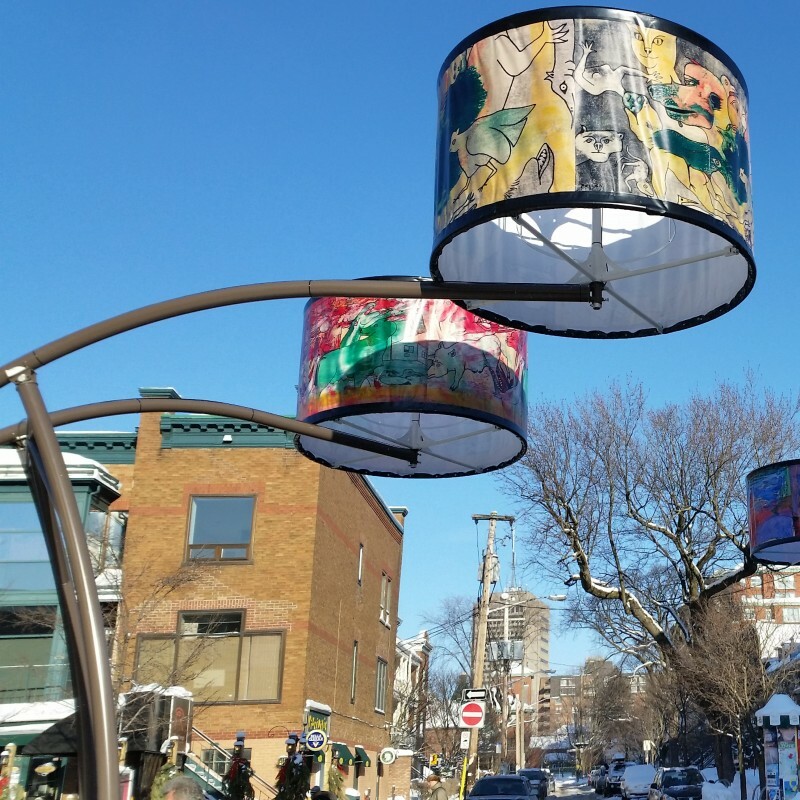 This new touristic project consists of 34 giant backlit lampshades, suspended over Cartier Avenue. Scène Éthique was mandated to build and install the 7 feet wide by 5 feet tall lampshades and a system to suspend the shades with cables designed by an external engineering firm. 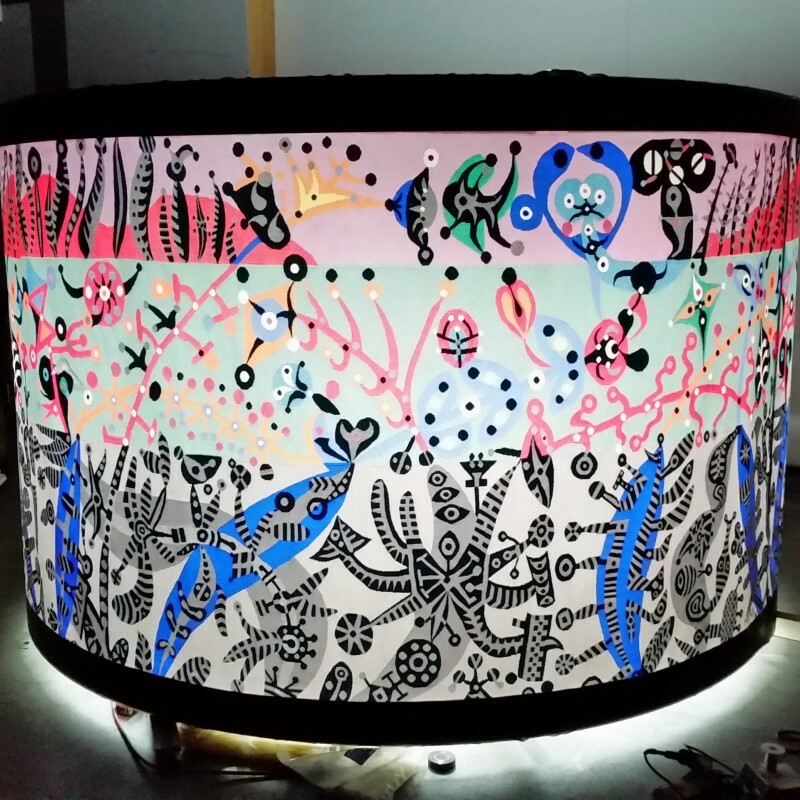 The lampshades are decorated with selected works from the permanent collection of the National Museum of Fine Arts of Quebec. The concept allows for the annual renewal of the exhibition by easily replacing the works on the shades. 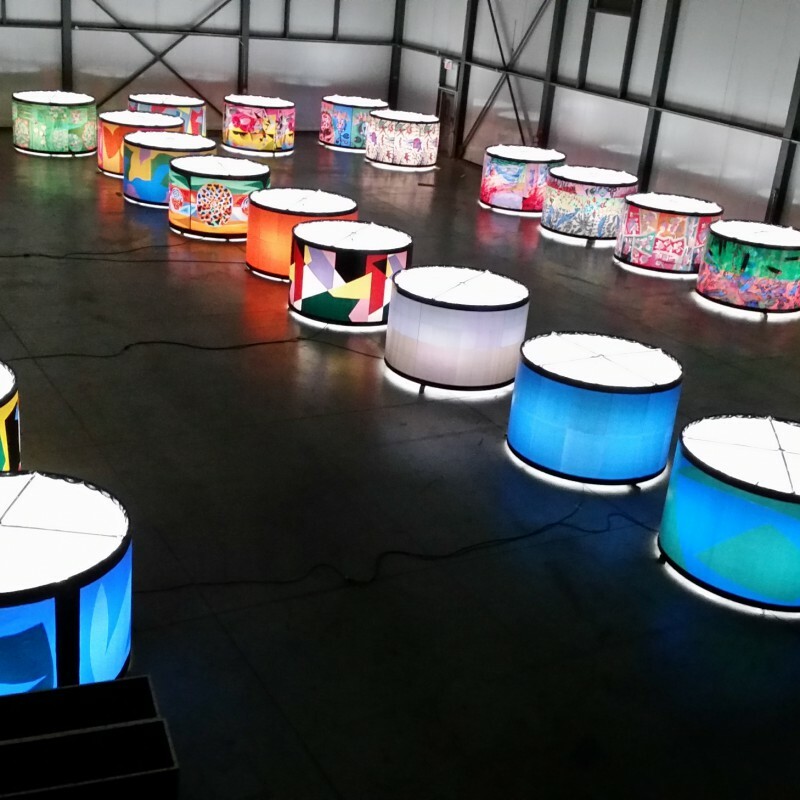 For the 2014-2015 seasonal exhibit, works by Alfred Pellan and Fernand Leduc decorated the shades. 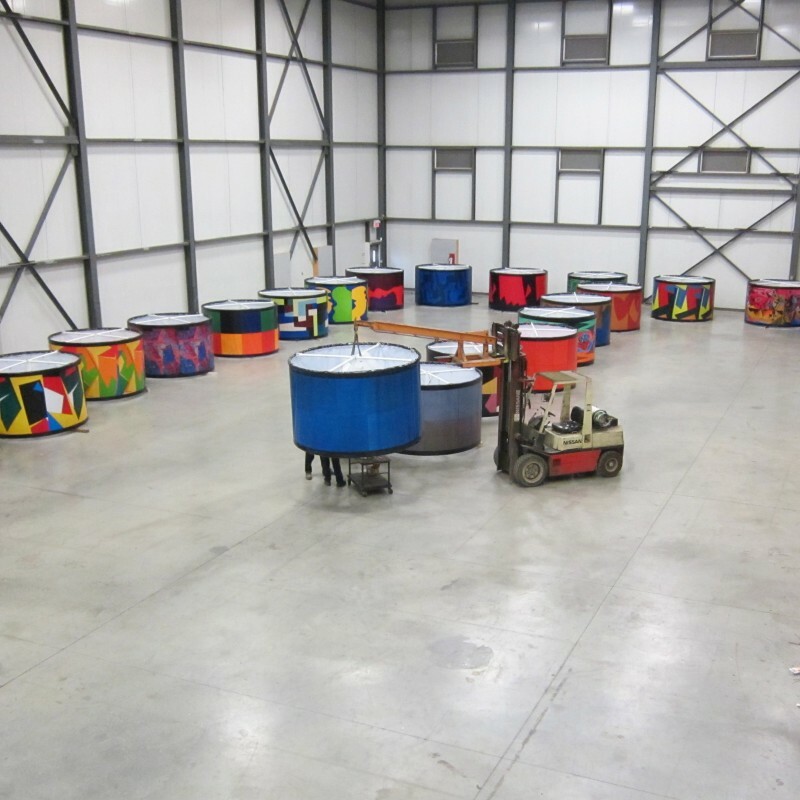 While performing tests for the installation of a prototype, Scène Éthique noticed that the suspension system was inadequate as there was no way to anchor the system safely to the designated buildings. Our designers sprang into action very quickly and designed a sidewalk anchored steel structure allowing the suspension of 2 lampshades each. These structures are 16 feet tall with more than 8 feet between the legs on ground level which allows for traffic to circulate normally both on the road and on the sidewalk. The structures are not interfering with normal activities of the very busy Cartier Avenue such as snow removal or the winter carnival parade.